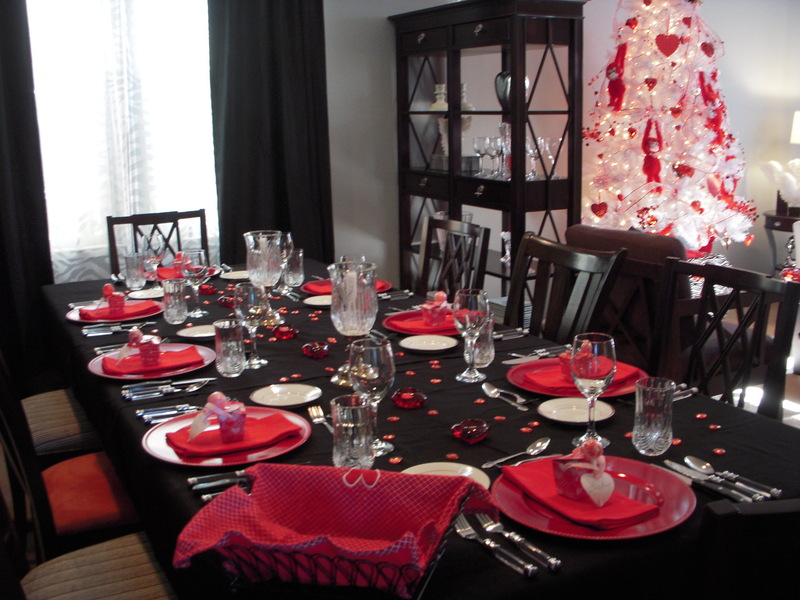 Since we are “wild” about each other and feasting on wild game, I created this fun, wild inspired Valentine’s Day tablescape and tree! I’m not a big fan of shopping before Christmas, but the day after is great because you can score Christmas trees for 75% off. I purchased this 6ft. white tree for about $20. I used a plywood tree box that’s usually for our Halloween tree but I simply covered it with some zebra fabric found at JoAnn’s for a couple bucks. 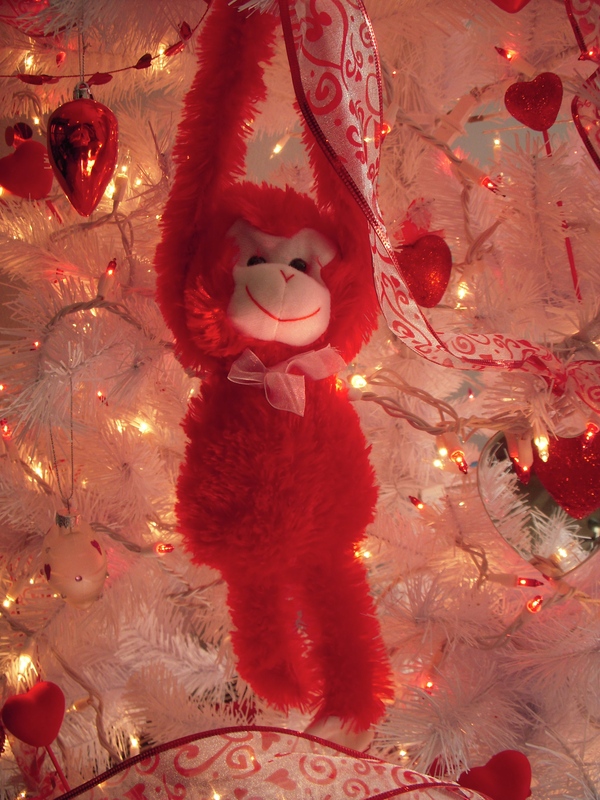 With a trip to the Dollar Tree, I found these adorable monkeys with velcro hands! Yep, they were only $1/each, SCORE!! 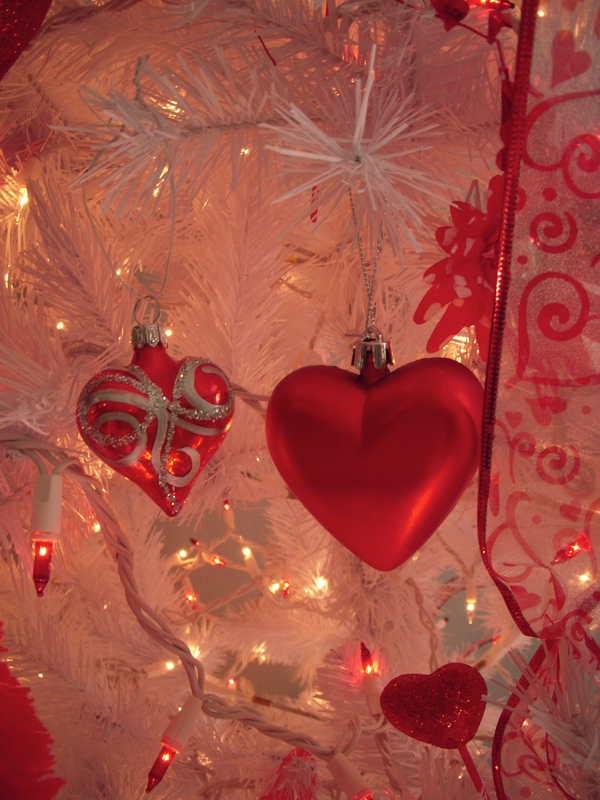 Also found the day after Christmas were red and silver heart ornaments, perfect for my tree. 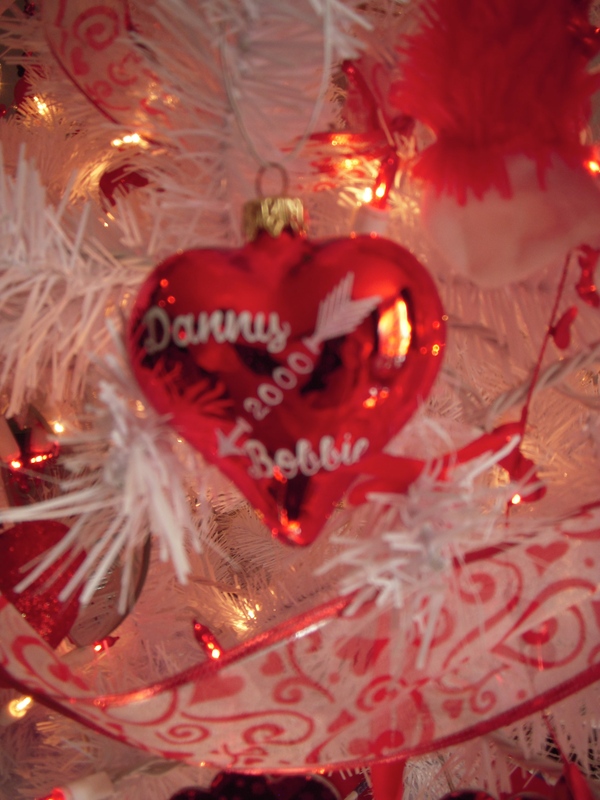 A few years ago, I purchased a heart ornament online and had it engraved and I attached it to a gift box, as a gift tag on a present that I gave to Danny. 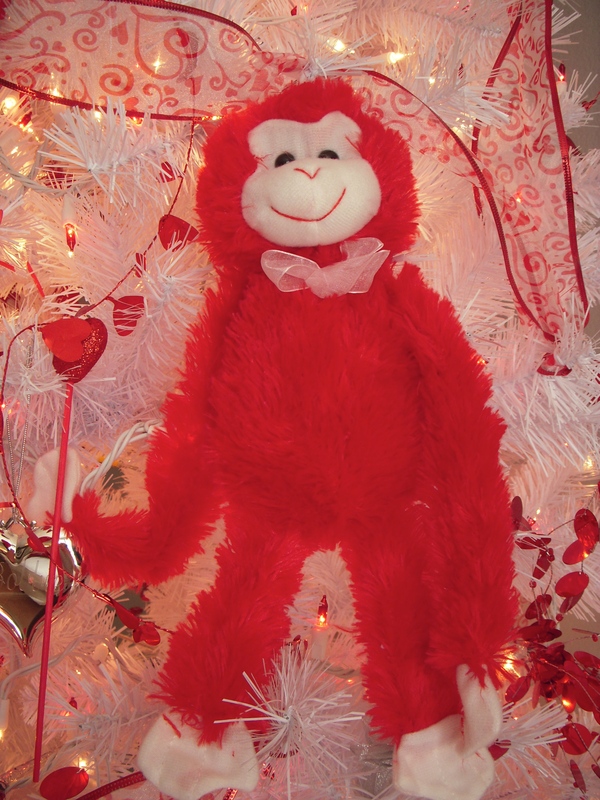 The tree top is 2 gorillas, and a red foil heart door wreath I found at Big Lots. 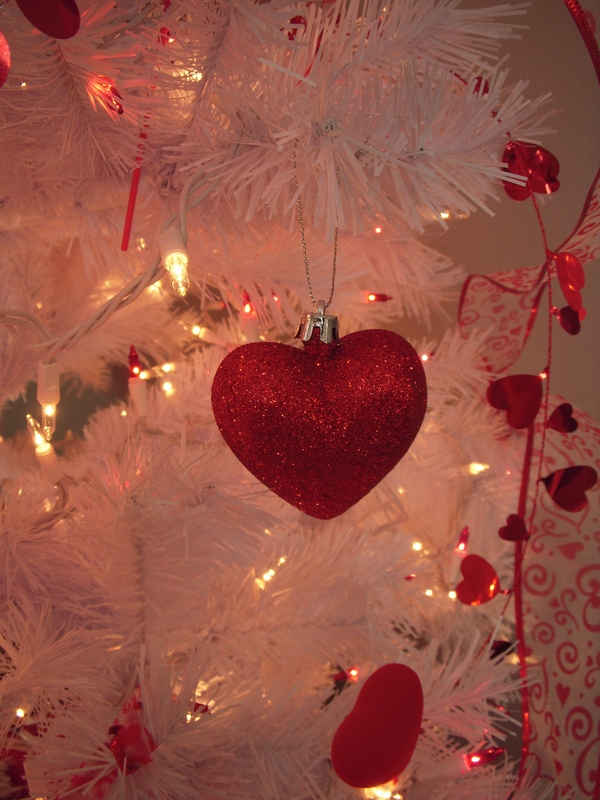 In the dollar isle at Target, I found heart garland, and ribbon I wound around the tree. 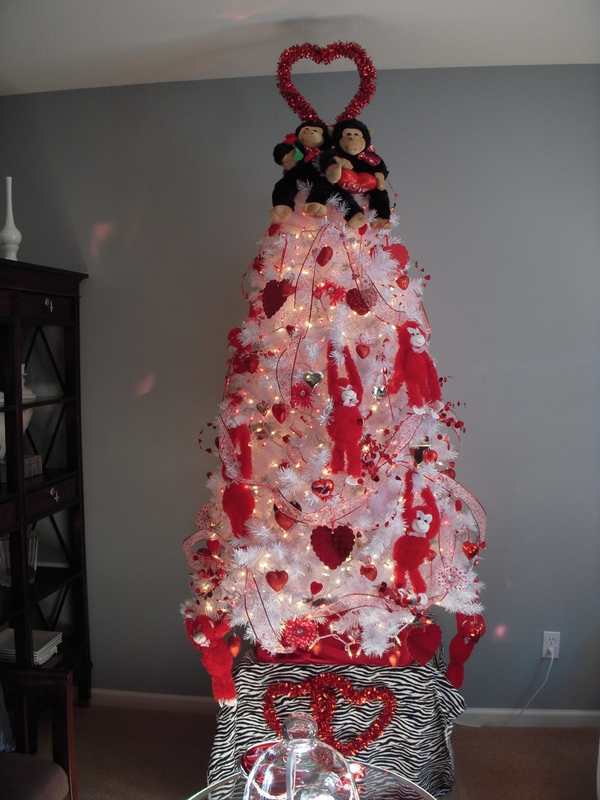 White and red lights and the tree is complete. Simple and fun! For my tablescape, I just pulled out a few items I had. I change the table every year. 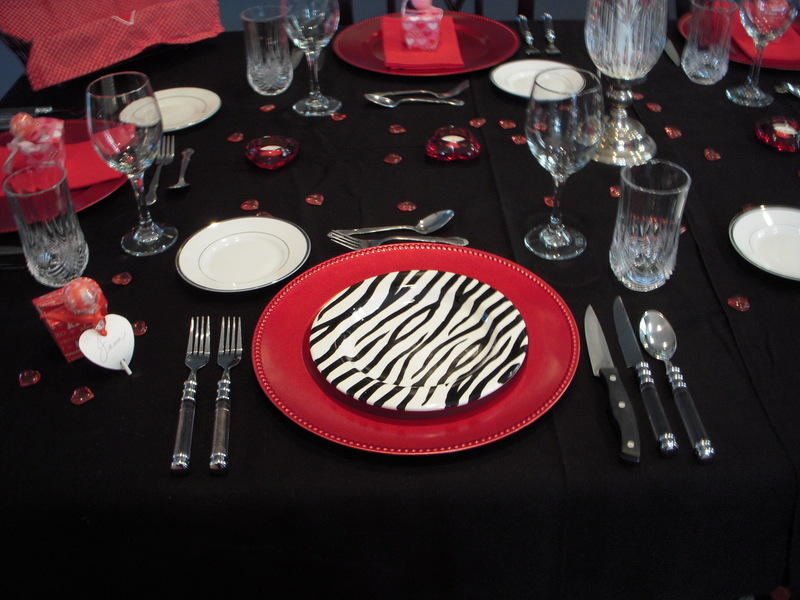 I have zebra plates in round and square, so I just added them to a red charger plate. You can make anything into a place card, so I used Chinese take-out boxes with house made truffles in them and a lollipop with my guests names written on the front of the heart tag. It makes a nice treat for guests to take home. 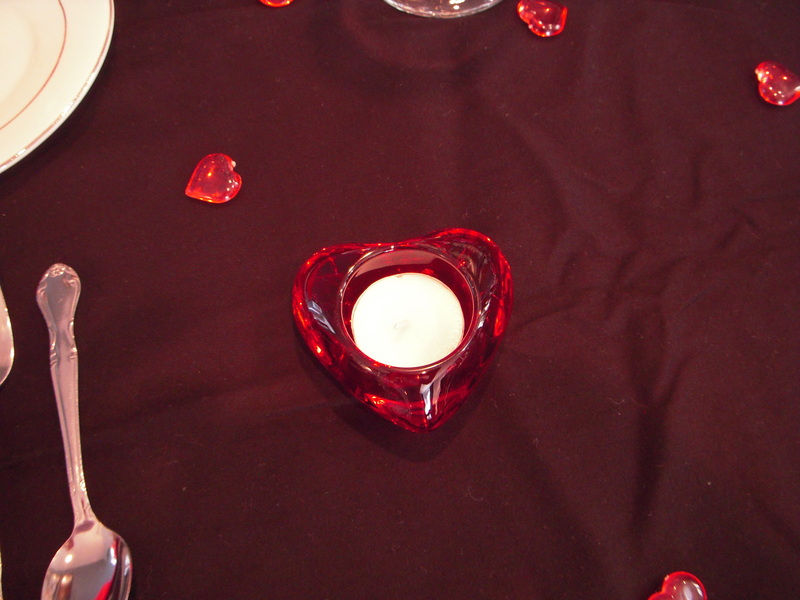 I found these heart votives many years ago (Terry’s Village, I think? ), and I use them every year. 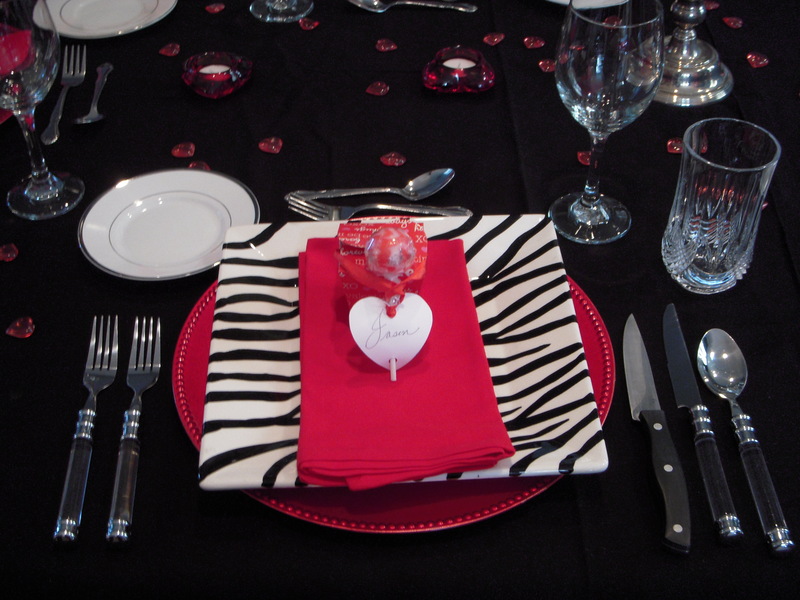 Finished off with heart scatters, and napkins… done! Time to cook.